Have you ever wondered what it’d be like to hug a real-life Baymax? In the future, you may get the chance. 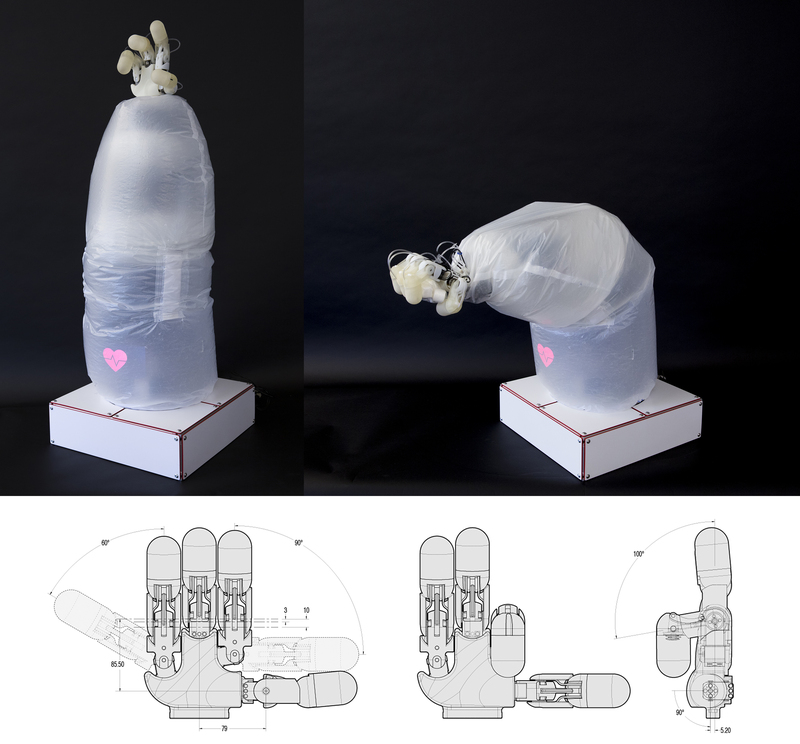 Disney Research has designed an arm that closely resembles one of your favorite huggable characters from the Disney realm. The arm has two air-filled pockets, which can soak up any bump or bang and in turn, provide a returned force. Like Baymax, the arm has an inflated protective cover, which hides or encompasses the mechanisms and force sensors. On the inside is a projector that will have displays visible from the outside, like the heart visible in the video. You can’t have Baymax’s arm without his hand, though. A 3D-printed hand, which is also air-filled, has force-sensing fingertips and can grasp small, soft objects. With its lifelike features, the arm can bend and reach out to grab an object, or perhaps do a fist bump? It’s not there yet, but in the video posted below, you can see that the arm does move with a range of motion and the hand gently take hold of a bag of marshmallows. As exciting as this new robotic arm is, it’s currently a prototype. The arm currently senses no contact force, so sadly, your hug can’t be returned yet. As written in the document, “A future iteration of the hand will incorporate an air-filled force sensing palm module as well.” While there’s still work to be done on the arm, and well, the rest of the body, I have no doubt that we will one day encounter a Baymax who is satisfied with his care.